Let us create the perfect 'botanic effect' for your indoor space. Whatever your style or motif, we will assist you in selecting the proper indoor plants, containers and accessories. We guarantee prompt delivery and professional installation done right the first time. 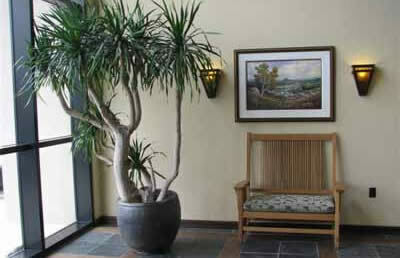 Our design fees are always waived when you choose Botanic Effects for your indoor plant needs. We can provide a wide variety of indoor plants of every size and shape including cactus, succulents, tropical foliage and blooming varieties of every color. We hand select only the finest quality plants for purchase, lease or rental. Contact us, or view some of our handpicked favorites in our gallery. 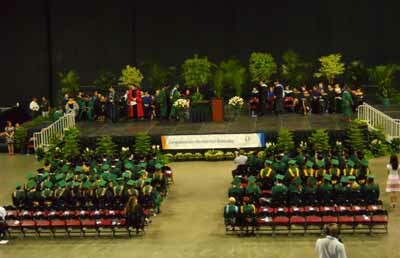 Botanic Effects has an exceptional and well trained maintenance staff with over 50 years of collective experience. 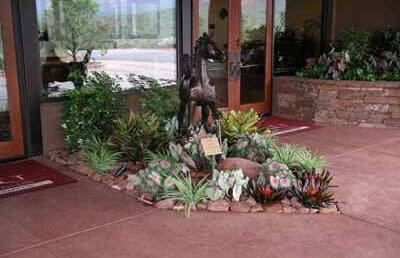 All of the plants installed by Botanic Effects are guaranteed while under our care. Quality foliage is the hallmark of our company. 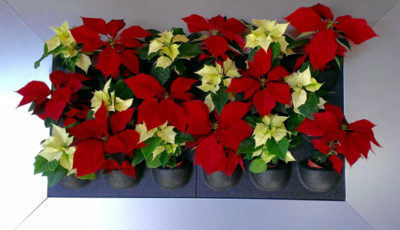 Botanic Effects can design, install and brighten your holidays with Holiday trees, festive arrangements, wreaths, Christmas Cactus and of course Poinsettias. We can create pieces for other holidays as well as for seasonal decor. Please contact us to discuss your project. See our Holiday Decorations Gallery. If you prefer email click here.